EDITED 13/10 – I was asked rather nicely to take these images (and the post, but that’s not happening) down by a member of the birthday party Jeff was with last night. Since I don’t feel like too much hassle I’ll run with it – but I think whoever posted the pics originally will realise that the photos are all on Twitter and Facebook anyways. 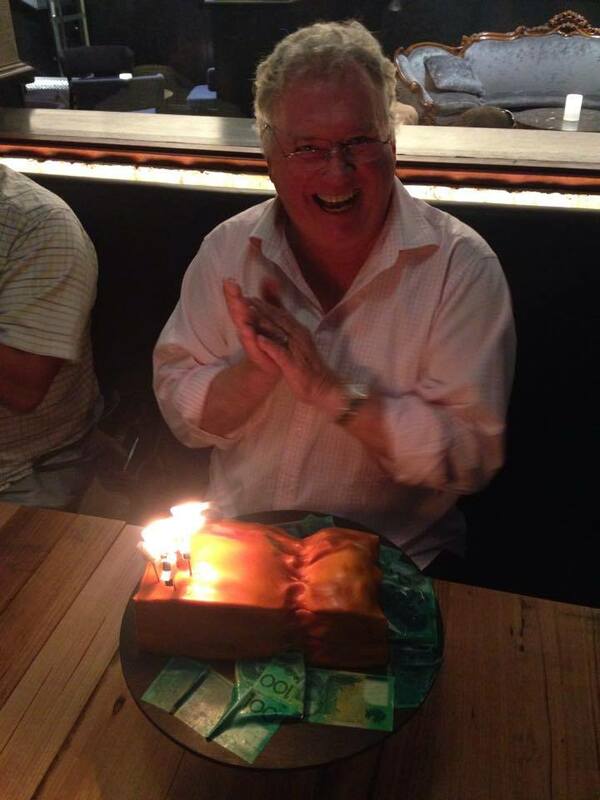 “I was apart of the group that celebrated Jeff McCloy’s birthday last night. The cake was an innocent joke and should never have been posted online. We would greatly appreciate it if you deleted the images and posts from your blog.” – Nice enough. 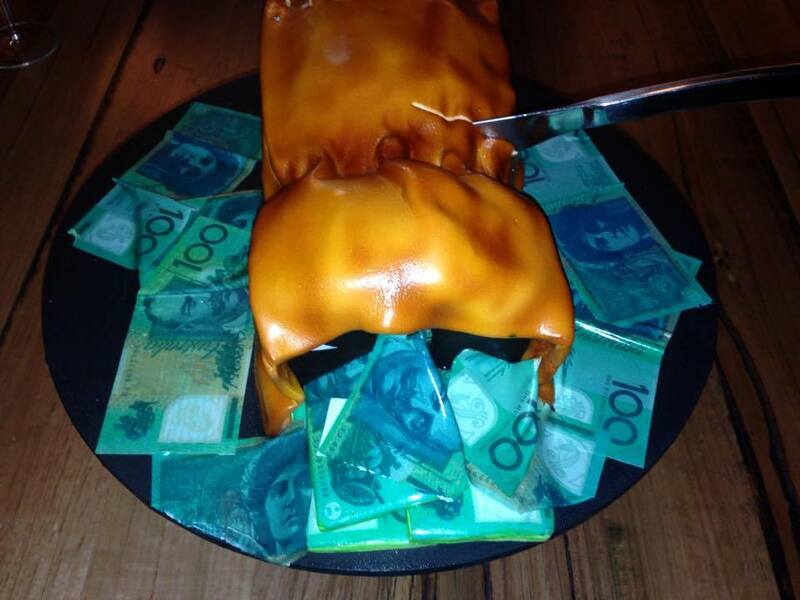 So, last night the Twitters were all a flutter with some pictures of Jeff McCloy with a birthday cake making light of the brown paper bags of cash he supposedly handed over to politicians and so forth, as came to light in ICAC earlier this year. Photos removed, but I’m sure you can find them if you like. Can I put them back in the post now? Of course he didn’t know about the cake before he had it in front of him, and it was just an unfortunate joke, but social media is unforgiving when a city has been burned.